I managed a short tour of the new Richmond Cycling Corps headquarters on Fairmount Avenue fairly recently. What has been done in the way of renovation is astounding, and that this is the spot’s new use is nothing short of miraculous. 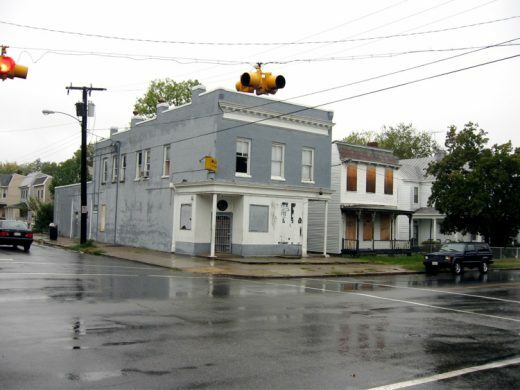 The corner commercial spot at 22nd and Fairmount had been mostly vacant for more than 10 years when the RCC folks picked up. 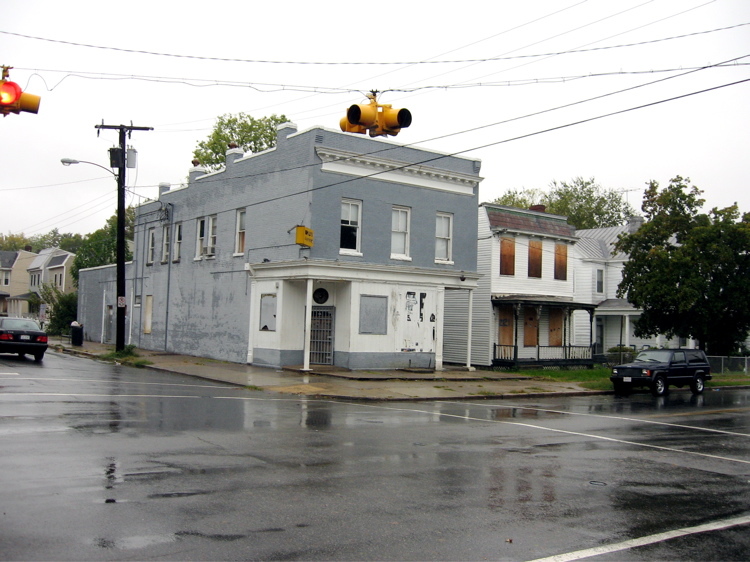 At one point in the mid-200s the bulding was to house a hair salon, but a robbery in the area of one of the principles caused them to back out of the project. A later B&E at the vacant property saw the theft of the remaining computers and office material. The upstairs was used as a recording studio for a while. The downstairs at various times almost became another corner store, a church, and a dollar store. Somehow, though, this is now home to Richmond Cycling Corps… RCC is an outreach program which uses cycling to connect with youth in public housing, and is responsible for the Armstrong Cycling Team and the MLK Cycling Team – the nations’s only inner-city high school and middle school cycling teams. The teams have finished 3rd in Virginia the past few years in competition with mainly private schools from around the state. Richmond Cycling Corps also built and maintains the Armstrong Bike Park. Thanks for the coverage! 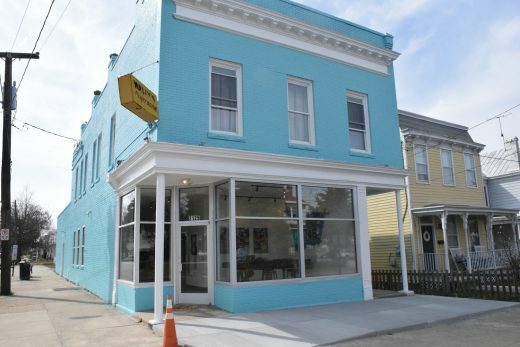 RCC is thrilled to be a part of the Fairmount neighborhood and hugely appreciative of those from all parts of Richmond (and honestly around the world) who helped make this possible through their donations. The close proximity to the youth served by RCC is already paying dividends. Great organization, thanks for the post! Good for RCC! They have my support.